Alfred Eichner's pioneering contributions to post-Keynesian econmics offered significant insights on the way modern economies and institutions actually work. Published in 1987, his "Macrodynamics of Advanced Market Economies" contains rich chapters on dynamics and growth, investment, finance and income distribution, a timely chapter on the State and fiscal policy, and two analytical chapters on endogenous money that are years ahead of their time. 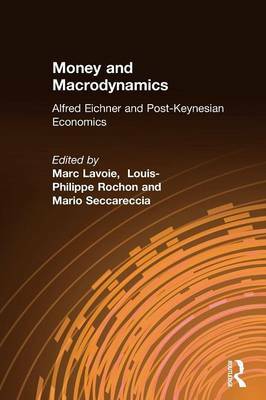 Featuring chapters by many of Eichner's disciples, this book celebrates his rich contributions to post-Keynesian economics, and demonstrates that his work is in many ways as valid today as it was over two decades ago.